Sunset Red bowl. Click the image to open the Alameda Brown Ware gallery. Alameda Brown Ware is a pottery type found in the San Francisco Mountain area of northern Arizona, south to the Mogollon Rim and the Verde Valley, in the Tonto and Roosevelt Basins, and in the Salt River Valley south to Tucson. Types include: Angell Brown, Grapevine Brown, Kinnikinnick Brown, Rio de Flag Brown, Sunset Corrugated, Sunset Red, Turkey Hill Red, Tuzigoot Plain, Tuzigoot Red, Tuzigoot White-on-red, Verde Brown (image gallery only), Winona Brown, and Youngs Brown. Core Color: Usually brick red, brown, buff, orange, or yellowish; less frequently gray or black. Temper: Variable, dependent on local material. Surface Finish: Usually smoothed; frequently well-polished; sometimes gritty; never corrugated or indented; sometimes thinly slipped; smudged surfaces common in many type; sometimes burnished; anvil marks on interiors of jars usually conspicuous. Surface Color: Exteriors are usually brown or red; interiors of bowls are frequently black (smudged). Vessel Thickness: 3.8 to 13.8 mm, average 6.7 mm. Decoration: Rare; paint when present is crude and found on the exterior of bowls and jars; tooled surfaces or appliqué are also rare. Background: Contemporary types in this ware are very alike in forms and methods of manufacture, but differ in the type of temper used. Temper differs with the material available; basaltic ash, quartz sand, quartz and feldspar sand. Basalt, volcanic tuff, or crystalline rock such as granite, schist, or gneiss were crushed and used for temper. The distinctive temper for many of the identified types can be sourced to a specific locality where the type was manufactured. These types form an excellent material by which to study prehistoric trade and interaction. In naming some types, the original describers did not follow a consistent system. Some of the types without a slip or other surface treatment were called plain, some brown, and some, such as Tuzigoot Plain, Verde Brown, and Tonto Red, were called red. Since these types were properly described and the descriptions published, changing the names to conform to a uniform system would be confusing. In general, the paste of the Alameda Brown Ware types ranges from orange and brown to dark gray because the clay contains incompletely oxidized organic material. If a pot was in a reducing atmosphere during firing traces of reduced iron remain in the clay. When completely oxidized, the paste is usually orange, although some sherds have a buff surface and paste. This suggests that the usual material was residual clay and that the occasional buff specimens alluvial clay was used. Painted or textures surfaces are rare on Alameda Brown Ware. However, in most of the major types a few sherds have been found with crude white designs on a red surface or tooled design, and a few sherds with a crude black design on a brown surface have also turned up. 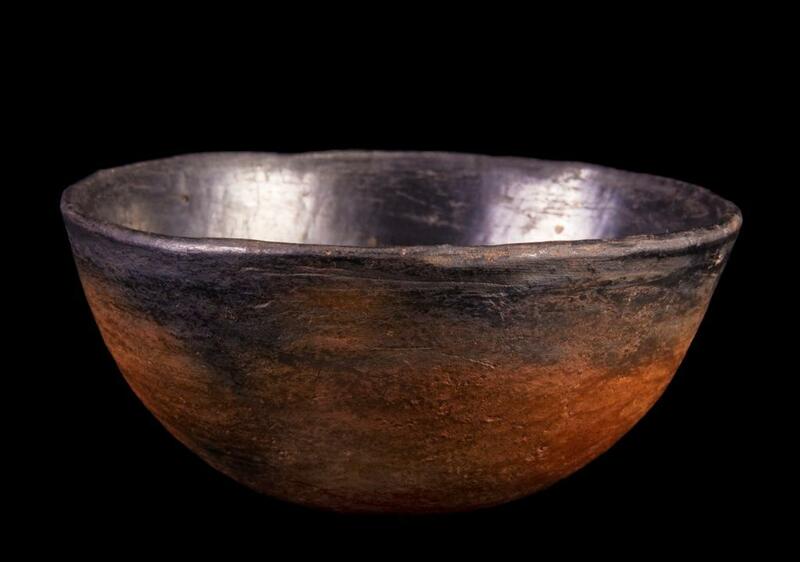 The bowl interiors of many types have been intentionally smudged as in Mogollon Brown Ware of the same time period. Colton, Harold S., and Lyndon L. Hargrave (1937) Handbook of Northern Arizona Pottery Wares. Museum of Northern Arizona Bulletin 11, Flagstaff, Arizona.